Acting leader of the Future Forward (Anakot Mai) Party Thanathorn Joengrungruangkit reported to the Technology Crime Suppression Division today to defend himself against allegation filed against him by the National Council for Peace and Order over his Facebook livestreaming seen to be critical of the military junta. Representing the NCPO, Colonel Burin Thongprapai of the legal affairs accused Thanathorn of violating the Computer Crime Act for criticizing the junta over the alleged poaching of ex-MPs of several parties and its failure resolve the problem of farm prices among others. After the meeting with the TCSD police, the firebrand young politician told the media that whatever he spoke in the Facebook livestreaming on June 29 were facts and he didn’t think it amounted to political gathering of more than five people — an activity banned under the junta’s executive order. Commenting on the case against him, Thanathorn said he was confident that litigation against him would not impact his party. Instead, he said he felt proud that the NCPO attached interest to his party by means of taking legal action against him. 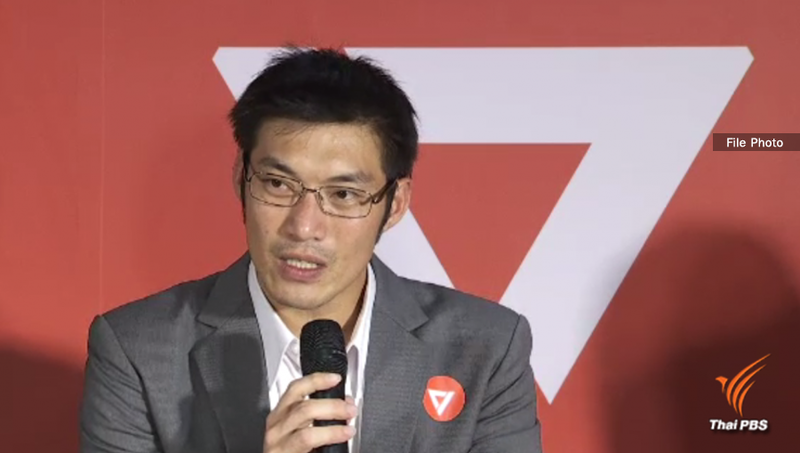 At least two other party members were involved in the livestreaming, Klaikong Waithayakorn and Ms Charuwan Sarungate. Thanthorn insisted that his Future Forward party is not a threat to national security, but a threat to people who are against democracy. He likened mobile Cabinet meetings in upcountry provinces to election preparations by the NCPO to take advantage of the other political parties. He also called on the military junta to quickly lift the ban on political activities.